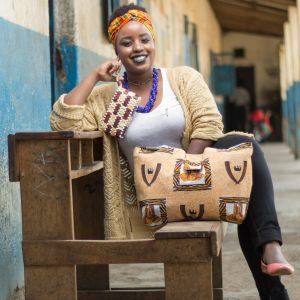 Wandia Kimani is an avid environmentalist whose great passion is in bringing consciousness to those around her on waste management, sustainable production and responsible consumption. Currently she is completing her undergraduate degree in Economics and Statistics from the University of Nairobi. Wandia has about three years of work experience in community project management through working for AIESEC. From her leadership role, was able to facilitate over 150 exchange experiences for volunteers from all over the world, whilst creating an impact on the lives of around 1000 under-privileged women and children in Mathare slum, Ruiru and Kenyatta National Hospital.